Site Message – Benbow Brothers (Timber) Ltd. Messages from our team to our clients. Like the welcome page. New equipment for the new tax year. Ford Transit LWR with customised body work by PD Stevens of Market Drayton. 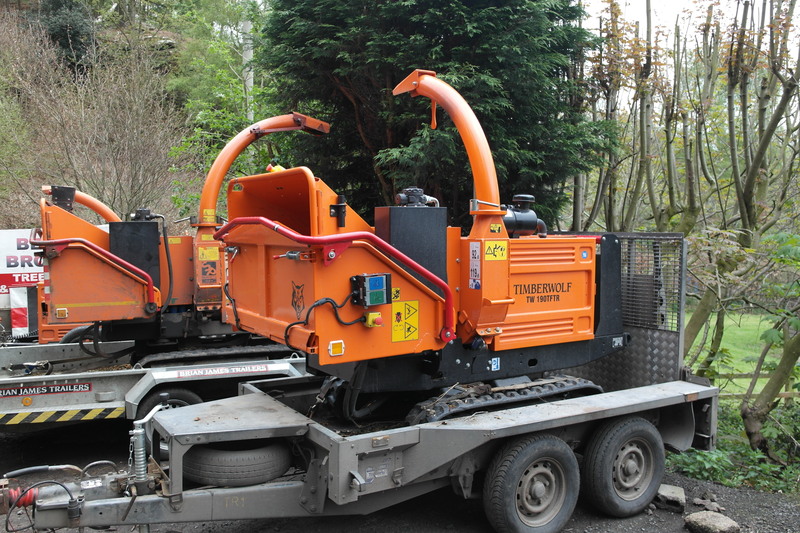 New Timberwolf Tracked Chipper to add to our equipment. Welcome to Benbow Brothers (Timber) Ltd.
From our base near Shrewsbury, we offer professional, qualified and fully insured tree surgery and tree care services for both domestic and commercial customers. The normal area of operation for our teams of tree surgeons is throughout the West Midlands and North Wales. However, we will always consider requests for our services outside this region. 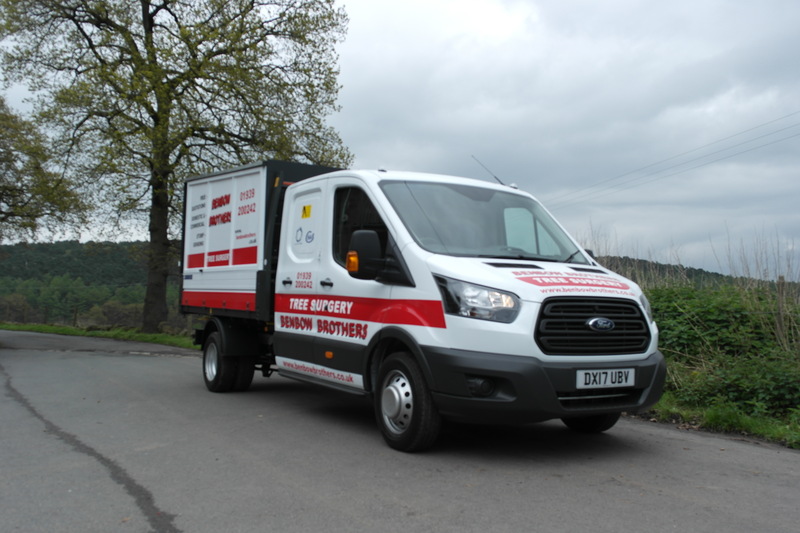 We also run a nationwide timber merchanting and haulage service for commercial clients. Established in 1947 and still a family business run by directors Ken and Les Benbow with company secretary Dale Benbow, we offer a comprehensive service for all your tree surgery and tree care needs – from pruning a single tree to harvesting woodland – backed by our 70 years of experience in tree husbandry. In addition to our many domestic customers we are approved suppliers to Local Government, Utility Companies, Highway Authorities, Major Contractors, Private Estates, Golf & Leisure Clubs and Builders. As you would expect, we are fully insured and our staff are NPTC qualified, including training in aerial rescue and first-aid. We have been assessed and approved under the Contractors Health & Safety Scheme (CHAS). Assuring that our tree surgery is of the highest professional and safety standards. Meaning that not only are we safe enough to work storm-felled trees that have tangled with power-lines, but that our tree surgeons are of the highest standard. Our friendly staff are all experts in their fields. Benbow Brothers strive to treat all our customers, large and small, private, corporate or governmental on a personal and individual basis. We have produced this website to share information about the company and tree care. If you have any questions about tree work that you feel are not answered by the website please contact us via email, telephone, fax or post.